Considering you're reading this post, I guess you took a long break in your writing process and you'd like to get back it. Or you just like my writing style which makes me happy. Either way, this happened to me too when I got to uni and I didn't really have a time for writing because school was time-consuming. Recently I started writing again because I realised that my life was dull without it and I missed it dearly. So let's jump to the list of advices I prepared for you. Writing is like riding a bicycle - once you learn how to do it, you can't really forget it. And it's totally true. This summer I went cycling for the first time after 10 years. Trust me, I was terrified I fall off to one side but after a while it was like a I've never stopped cycling. The exact applies to writing. Sure, gettting back to it will be hard. I was rusty and my writing style was just terrible but the most important part is that I was writing. Did I want to stop? Sure. Was I satisfied with my story? Hell no. But I didn't give up. So if you're sad about how your writing got worse or how you can't get into the story just be persistent. It will get better, trust me. You may feel like you want to write but you don't have particular story in your mind. Fear not, that's not the end of the world. Also, it's not a reason for you to not write. If you feel like writing, then write. Start a journal and write about your days. Or use a story prompt and write a scene as a form of exercise before you got the fabulous idea for you story. And who knows, maybe you will like the story prompt so much that one scene wouldn't be enough and suddenly you're going to have a whole book. I find pinterest the place where to find them, but tumblr can be used as well. You can also pick up a book as the 642 things to write about. Especially not to those who write consistently. You're starting again and it will take a while for you to write faster and better. No need to stress over word count of your friend who's been writing for two years and finished 2 books. You're at different level. Also, why should you be worried over a word count? If you write one measly paragraph you should be happy because some people aren't able to write even that! Instead you should be proud of yourself for sitting at your computer and creating that piece of work. With each paragrapgh you're one step closer to better writer. Now this one depends solely on you. Getting back to writing when you lost your passion for it and don't really care about it anymore is going to be a lot of pain. 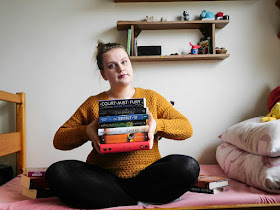 On the other hand if you find your passion and love for writing and when you know writing is what you want to do, it's going to be a lot easier than you think. You shouldn't be doing it because your best friend is doing it or because you want to be famous like J.K. Rowling. Those things doesn't matter. Those are my advices for getting back to writing after a long break. Is there anything you'd like to add to the list? 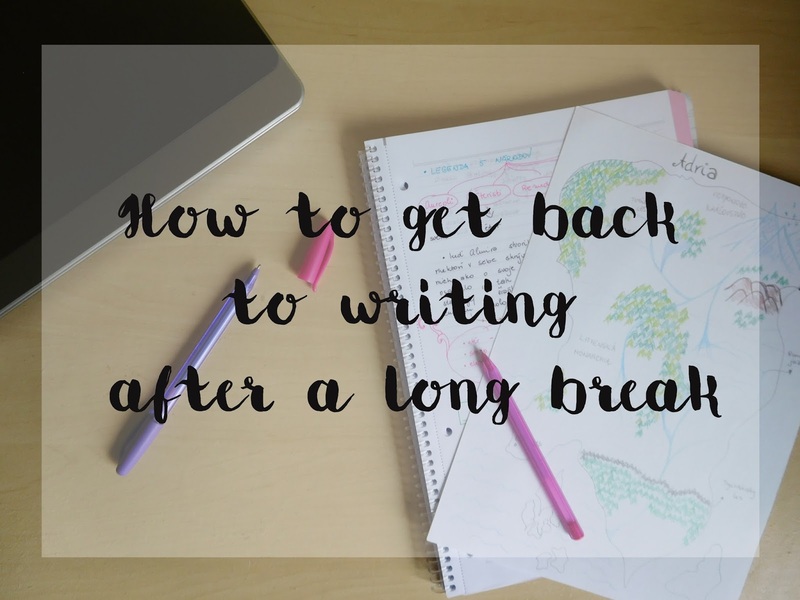 Did you take a long break from writing? How was your return? Feel free to share your opinion in the comments down below. I always feel like I "forget how to write" after a longish break. xD So it totally is like riding a bike...and the more you do, the easier it gets. Oh yeah there's nothing worse than working hard on something you don't even care about. It sure is. I've been writing this month consistently and already see the changes. Suddenly I can express myself easier and the story excites me more so it's definitely like riding a bike. Oh, this was such a helpful post! I have half a story that I wrote during NaNo, but I keep meaning to go back and, you know, finish it! I'm kind of scared though, so I'm probably going to try to complete Camp NaNo in April just for that little bit of support. I'm book marking this page so I can have a little inspiration before I continue on my writing journey! Thank you for the tips. You should write an article about making some time for writing. :D :D Sometimes time is the only thing I dont have. When I get home from school I´m usually sick of everything and cant bring myself to write. And then, after I finally open Word, it´s time to sleep. I wish writing was my only duty every day and school and doctors could wait until I am done.